Commence a career as a building designer, architectural technician or draftsperson with this course. Interpreting and applying building codes and regulations to small-scaled residential industrial and commercial building design projects, up to three storeys. 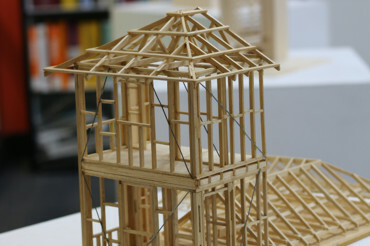 On completion of the Diploma of Building Design, you will be able to choose to specialise in residential projects, including new buildings, heritage restorations, additions or renovations; or undertake commercial and industrial projects such as factories, motels, offices, restaurants, retail or service outlets and warehouses. In addition to the above materials costs, students are also required to purchase a kit of equipment on commencement valued at $220. Description: This unit of competency specifies the outcomes required to research and evaluate existing, new and emerging construction materials and methods for all residential building design projects covered by the National Construction Code (NCC), except construction Type A buildings. It also covers the development of an understanding of the range of construction materials and methods available and their application, performance and interaction. Description: This unit of competency specifies the outcomes required to research current and incoming legislative requirements for environmental sustainability of buildings covered by the National Construction Code (NCC), except construction Type A buildings; and to clarify client preferences and budget. It also covers reviewing site conditions, evaluating sustainability options, and recommending cost-effective options for sustainability to clients in order to meet compliance requirements and client preferences. Description: This unit of competency specifies the outcomes required to integrate design briefs and site analyses, apply knowledge of construction materials and methods, and use creativity and innovation skills to produce concept sketches for small-scale building design projects covered by the National Construction Code (NCC), except construction Type A buildings. It also covers presenting concepts to clients, negotiating changes, and preparing client-approved concept sketches and models as a basis for the ongoing design process. Description: This unit of competency specifies the outcomes required to produce detailed working drawings of designs for residential buildings covered by the National Construction Code (NCC), except construction Type A buildings. The drawings are required for submission to the relevant authority for building approval and for use by construction personnel in the building process. It also covers liaising with the client and relevant authority to finalise the building approval process. Description: The purpose of this subject is to prepare, consult on and refine designs for building design projects, covered by National Construction Code (NCC), except construction Type A buildings, to produce client-approved drawings that comply with planning approval requirements. It also covers the application of creative design skills, knowledge of human lifestyles and cycles, knowledge of safe and sustainable construction materials and methods, and includes consultation and collaboration with technical experts such as structural engineers. This subject achieves the following national unit of competencyâ€”CPPBDN5009A Produce compliant client-approved designs for small-scale building projects. Description: This unit of competency specifies the outcomes required to inspect sites for commercial, industrial and residential building design projects covered by the National Construction Code (NCC), except construction Type A buildings. Site inspections are conducted to determine contours and measurements; existing conditions, structures, features and services; and neighbourhood characteristics. The unit also covers analysing sites; determining orientation and layout of building, access and egress points, and existing utilities and services infrastructure; and producing measured drawings. Description: This unit of competency specifies the outcomes required to research and evaluate existing, new and emerging construction materials and methods for all commercial and industrial building design projects covered by the National Construction Code (NCC), except construction Type A buildings. It also covers the development of an understanding of the range of construction materials and methods available and their application, performance and interaction. Description: This unit of competency specifies the outcomes required to produce two-dimensional (2-D) drawings for residential, commercial and industrial building design projects using computer-aided design (CAD) software. Work in this area must be completed according to relevant legislative, industry and organisational requirements, including work health and safety (WHS) policies and procedures. Description: This unit of competency specifies the outcomes required to apply energy efficient design to buildings. It includes the evaluation of building designs to establish suitable forms of construction and the identification of appropriate energy consumption practices for incorporation into design briefs. This unit of competency supports the attainment of the understanding and skills to apply principles of energy efficient design to buildings within the context of relevant legislation, theNational Construction Code (NCC) and Australian standards. Description: This unit of competency specifies the outcomes required to produce rendered and animated fly-bys and walk-throughs of three-dimensional (3-D) models for small-scale building design projects covered by the National Construction Code (NCC), except construction Type A buildings. It also covers demonstrating and discussing the rendered animations with clients and stakeholders. Description: In this subject you will gain the skills and knowledge to produce detailed working drawings of designs for commercial and industrial buildings covered by the Building Code of Australia (BCA), except construction Type A buildings. These drawings are required for submission to the relevant authority for building approval and for use by construction personnel in the building process. The unit also covers liaising with the client and relevant authority to finalise the building approval process. This subject achieves the following national unit of competencyâ€”CPPBDN5015A Produce compliant client approved working drawings for non-residential buildings. Description: This unit specifies the competency required to use knowledge of human movement and the skills required to determine human posture and body strength and apply this information to the design of the environment in which people live and work.The unit covers the application of basic ergonomic data derived from a defined human population to the design of accessible workplaces and living spaces. The design of accessible workplaces will maximise the sequencing of tasks to ensure body movements are efficient in terms of the conservation of work. The measurement of the components of ergonomic competence of individuals and the application of this information to the design of an accessible environment required by the individual shall be demonstrated. Description: This unit of competency specifies the outcomes required to consult with clients to identify and clarify parameters, such as their vision for service level and requirements, preferences and budget for new building design projects covered by the National Construction Code (NCC), except construction Type A buildings. 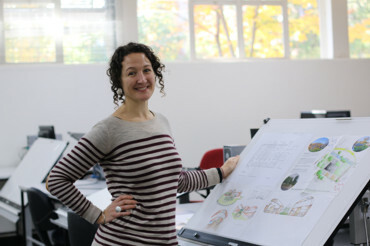 It also covers researching and presenting information that may affect the clients' requirements, preferences and budget; applying knowledge of construction materials and methods; offering and negotiating creative design solutions; and developing a client-approved design brief for the new building design project. Description: This unit of competency specifies the outcomes required to research compliance requirements in different locations that apply to commercial and industrial building design projects covered by the National Construction Code (NCC), except construction Type A buildings. It covers research into local, state and federal government legislation and policies relating to planning and the environment, including zoning and analysis of requirements in relation to client preferences and prospective design proposals. This qualification applies to building designers who undertake building design projects covered by the National Construction Code (NCC), except Construction Type A buildings). CAD or BIM operator and technician.